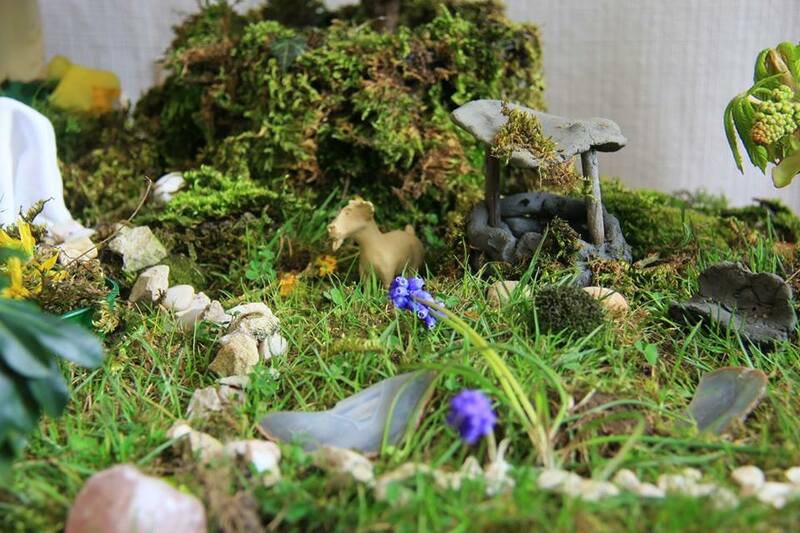 One of my good friends in Blockley helped a group of children to make an Easter Garden. He started with a trolley from the allotments, and added clay from the brick factory. The crosses were made by the father of one of the flower ladies. The stones, all with fossils, were found in the gardens of the village. Moss and earth w ere brought from the woods, and the empty tomb is a breeze block cleverly disguised with half a round stone shot from the middle ages. It was put in place in front of the nave altar on Good Friday. Over the next 3 days, people added to it. Carrot goldfish appeared in a water filled brook; flowers and bulbs were planted; a goat stood next to the well; two white figures appeared (teaspoons with a scrap of fabric over them). 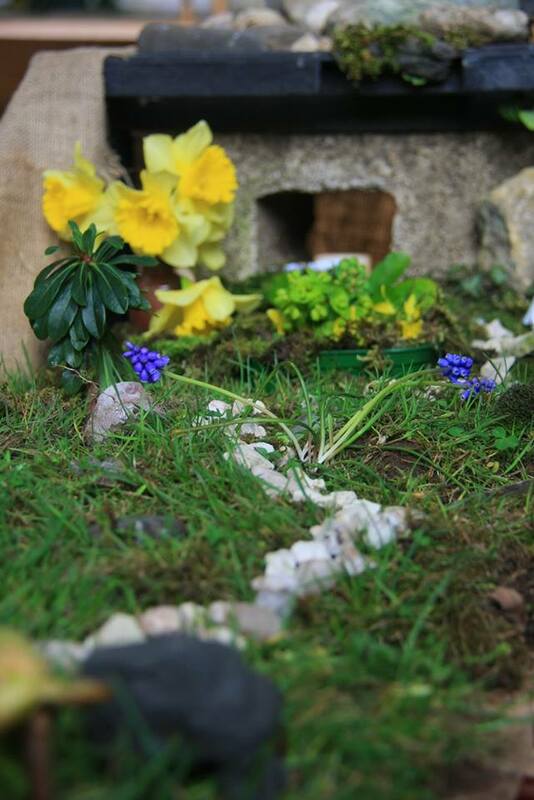 When the stone was rolled away in the Easter service, the tomb was empty. 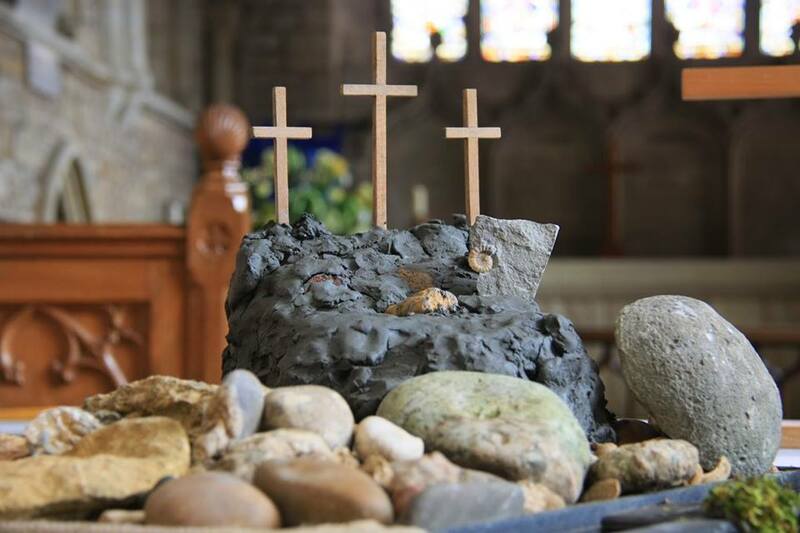 The mystery within a mystery – “He is not here; he has risen”. 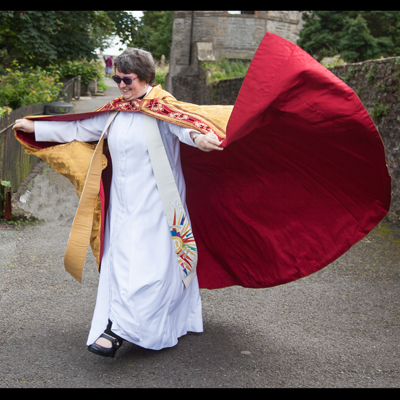 For me the joy was as much in the collegiality and sharing of the story – not mine, or yours, but our story of faith, discipleship and telling the story through words and pictures.